Why my Sitecore Media Item created in multiple languages? Have you ever faced that you upload a single media file to Sitecore and it gets created in multiple languages? This is not strange but expected behavior in Sitecore. Let's see how. Check Media.UploadAsVersionableByDefault setting in your web.config. If it is false, then uploaded media item will be created in all those languages which exist under /sitecore/system/languages. This media item will use unversioned template /sitecore/templates/System/Media/Unversioned/File template, so the Blob(Media) and its common details would be shared across all language versions. See below image. This option is really helpful when you want to use common media files across multiple languages content pages as the media is shaerd across all languages. 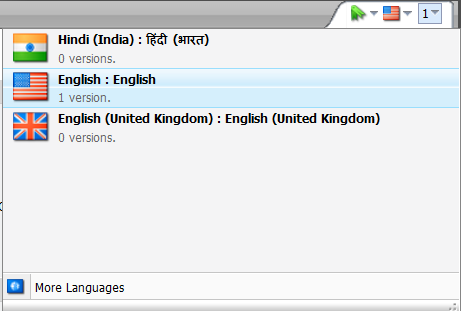 Where, if you have this setting as true, then each media item will be generated in default language only. This media item will use versioned template /sitecore/templates/System/Media/Versioned/File template, so the Blob(Media) and its all details would be distinct across languages. See below image. 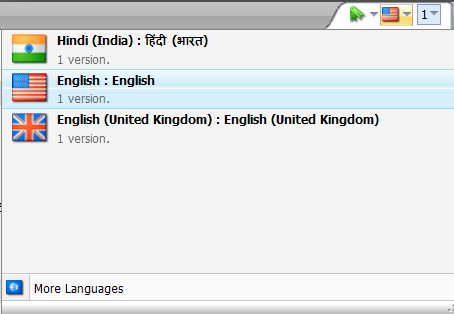 This option is really helpful when you want to use different media files for different language content pages. You want to upload media items in Sitecore with your selected languages only? Refer my new post: Upload sitecore media items in selected languages. Nice Article Yogesh.. Well Presented.. Thank You Pradeep for reading this blog and for your comment! Thanks Pradeep.. I had the exact question you answered! I have another question. Can you get sitecore to upload in a language of your choosing or will it always upload in the default language, meaning the author has to then create a language version is the language of choice and then re-upload? Hello Brian, here is my new post, which explains how to upload media in selected languages. Thanks Brian for reading this blog. For your question, "YES" it is quite possible to upload media in chosen languages for both versioned and unversioned media items. Author does not need to create versions everytime. I would explain better in a post rather in comment, so I will update you once I post it. I am currently working with a client with 60 languages and I am using a sync feature for importing images from FTP service into Sitecore media library. 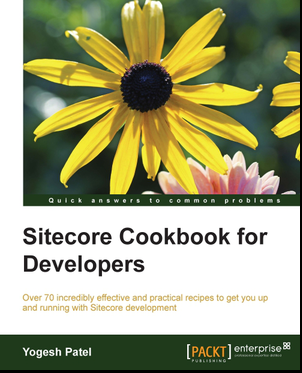 As Sitecore creates versions for each image as you describe, the system is heavily loaded when importing images as to this architecture, and I find the upload of images in this case to be extremely slow. I am now working on a workaround, as the client now wants to shift from 1 to 10 images of any given product. Have you had any experience with lots of languages and performance? I think you are storing media files in Sitecore Database. In you case, file-based media would be a great workaround for you while doing sync so Sitecore will be free from DB interaction and make uploading faster. Later on you can schedule file-based media files to move in Sitecore DB in OOH. I am sure this will help you. This is a really nice trick Mark, Bingo! I understand that changing the Media.UploadAsVersionableByDefault setting in your web.config, you can decide whether using a versioned or unversioned template for ALL the files. I was wondering if you can change this setting for a single file type. I mean, I want pdfs or docs to be versioned, but not images or audio. but cannot see how to change it for a concrete file type. Is this possible? I understand your need. The setting you mentioned will not help you. If you are familiar with playing with pipelines and processors, you can visit my another post: http://sitecoreblog.patelyogesh.in/2013/09/sitecore-upload-media-selected-language.html where I have customized this processor. I know that will not serve your purpose, but at same place you can choose to use either versioned or unversioned template. If you still stuck somewhere let me know. In the post, you can expand code write on Point#7. Here, below line you can customize as per your need. Nice blog Yogesh! It helped me fix my issue where media item creation was taking lot of time due to options.versioned set to false. We have 80+ language in system which caused a big delay.